Holding an event? Running a promotion? Got something to say? 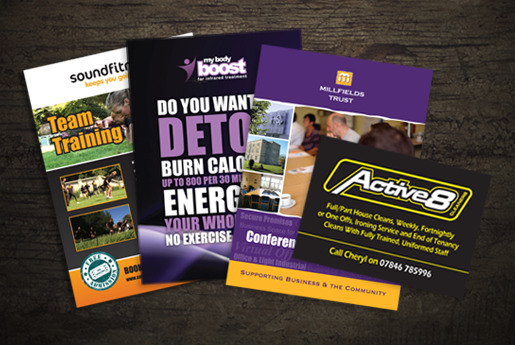 Flyers and leaflets will allow you to effectively reach a large audience with your message. They are a unique form of advertising in that they are placed directly into the hands of the customer – they simply cannot be ignored! The brandable nature of a leaflet or flyer means you have the space to include rich and detailed content. This direct form of marketing is simple, cheap and can be designed and printed to spec. 170gm Art Paper Gloss Finish. Full colour double sided.